After our Ziplining Adventure it was time to go to the ruins. I never had much of a bucket list but when, as a child, I learned about the existence of ruins that had been hidden in the mountains for centuries I knew I had to see this place. 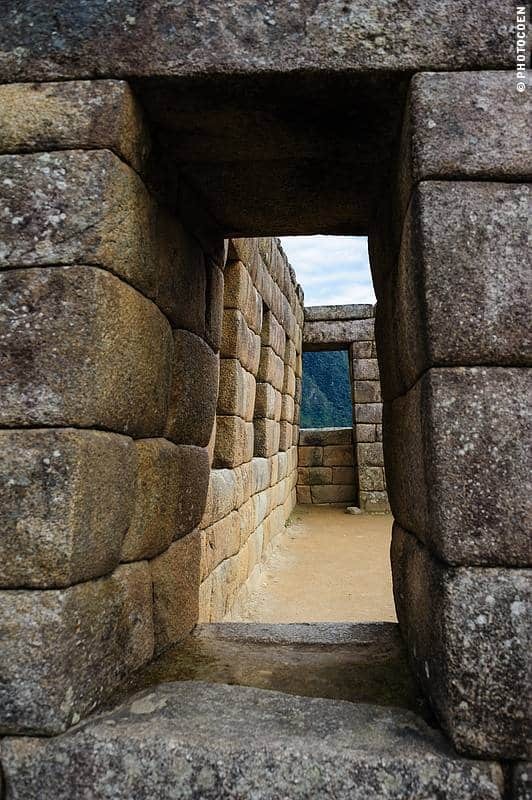 During our journey we have skipped a number of sights because we find the entrance fees beyond any sense of normalcy, and Machu Picchu definitely falls into this category: the equivalent of 50 US dollars (yep, per person). So we did debate whether we would actually visit it or not. However, there was this image carved in my brain of ruins majestically set in tropical rainforest. I wanted to see them for real, so I was set on going. Paying such an entrance fee hurts for a moment, but then life moves on, but what really pissed us off is that apart from a map with minimal text there is no explanatory panel to be found on the entire site. This is a UNESCO World Heritage Site! Ridiculous! What am I saying? Outrageous! (By the way, same thing counts for all other Inca sites in the Sacred Valley: ludicrous prices but no explanatory panels nor any information brochures). So if you want to learn something about the place you’re visiting you need a guide. This is not a place I want to walk around with a guide, talking to me all the time. I just want to be here, walking around at my own pace, taking in the atmosphere, the energy, the vistas and details in silence. And so we chose learning less (fortunately, there are dozens of books on Machu Picchu anyway and I had done my share of reading beforehand) and enjoying the site with just the two of us. When you’re in Cusco it seems the whole world knows what Machu Picchu is. This is nonsense of course. So, for those who don’t know, here is a history lesson about this archeological wonder in a nutshell. There is a debate of exactly when Machu Picchu was founded but it probably dates from around 1500, during the heydays of the Incas. The Spanish never discovered it, which is the reason the place wasn’t looted and destroyed. In 1911, the American Hiram Bingham discovered the site largely subsumed by nature and during the 20th-century archeologists worked on it. 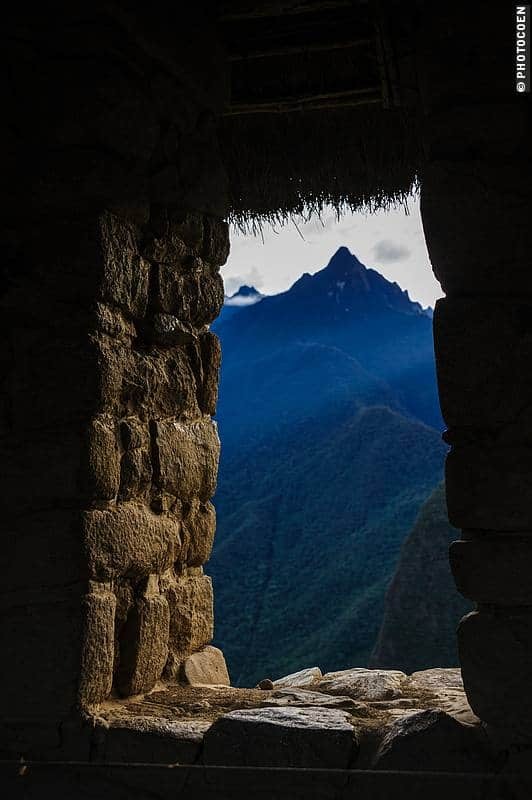 The ruins were restored, Machu Picchu was declared a UNESCO World Heritage Site in 1983 and today it’s South America’s most visited attraction. 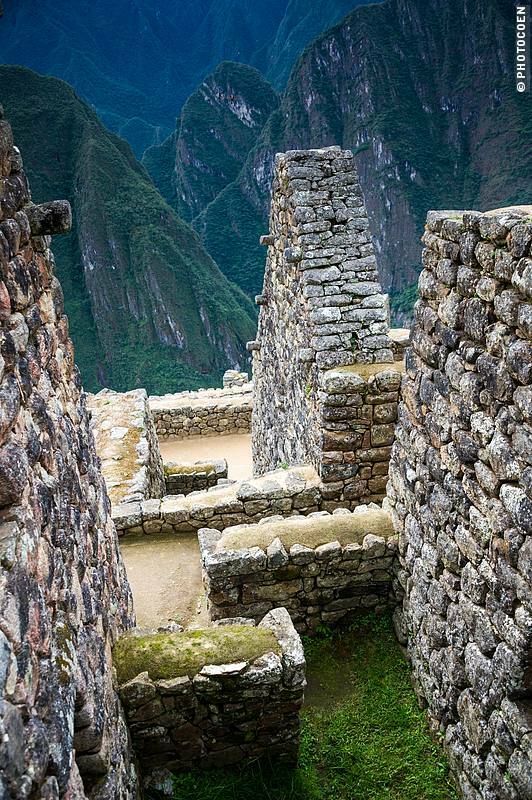 There is also discussion among historians about what exactly was Machu Picchu. 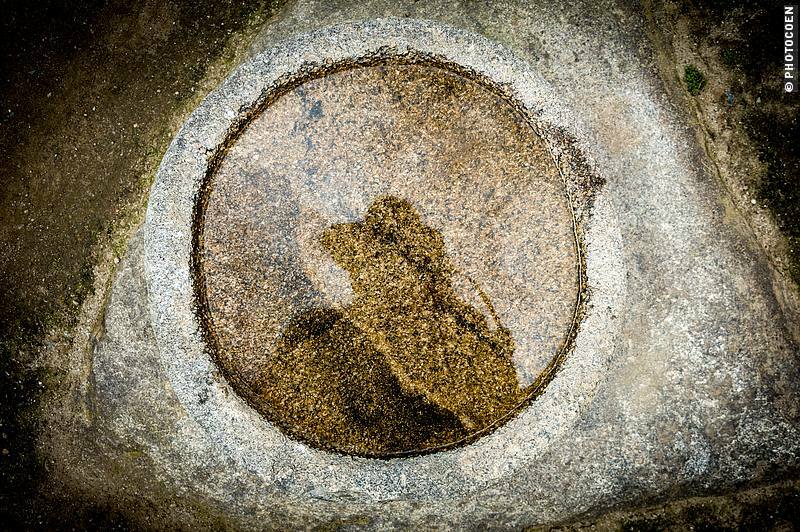 Many say it was a royal estate for Inca rulers, others claim it was a religious site. Maybe it was a combination of the two, or of other functions as well. The ruins consist of different sectors: a residential area and vast terraces for agriculture, a sacred part with, among others a Temple of the Sun, and a royal district. The ruins themselves are impressive yet not extraordinarily spectacular. 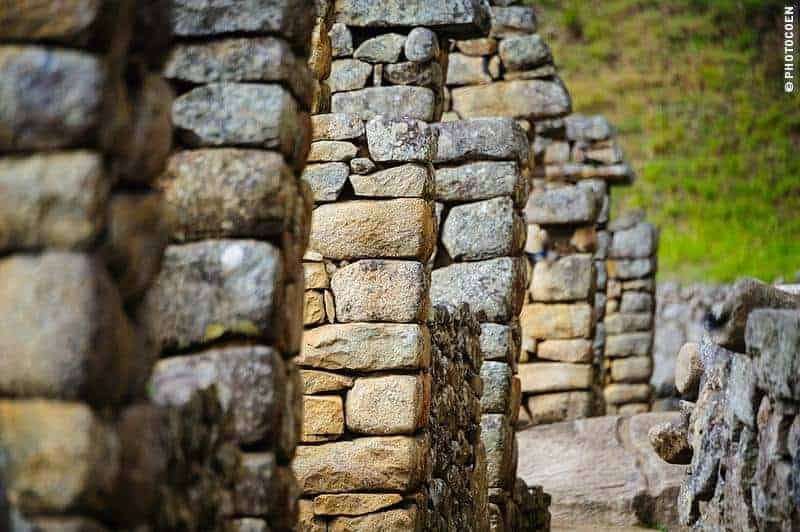 Of course, the impeccable accuracy of its masonry of polished, dry-stone walls that fit so neatly together that you can’t get a knife in between them is miraculous, but there are many more Inca ruins in this part of Peru featuring this. No, for me Machu Picchu is all about the setting. The site is perched at the end of a mountain ridge with vertical, granite walls dropping on three sides. From below it looks as if it sits in a saddle with on one side Huayna Picchu and on the other side Mountain Machu Picchu. The ridge is hemmed in by the Urubamba River looping around it and all this is surrounded by impenetrable and higher mountain ranges of the Andes Mountains, giving the place the remotest and most bewitching feel you can imagine. I have to say, I was a bit disappointed to learn Machu Picchu lies only at 2430 meters. I was under the assumption it was an on-top-of-world location. At this altitude, it clearly isn’t. Yet, it felt like standing on top of the world – not only that, to me this was the end of the world. Machu Picchu is one of these places where I could stay for hours just looking at it, which is exactly what we did. While in the morning we were disappointed for not having a splendid sunrise due to clouds, these same clouds and later even the rain, added to the ambience. Clouds came and went, mist billowed up from below, rain sprinkled the ruins, in the distance appeared a rainbow, sun filtered through clouds and mist. All together it made for a fantastic and varied spectacle. Crowds of visitors, obviously, many of which were busy taking pictures of the ever-present llamas on the site (cheap way to keep the grass cut on all those terraces). When in the afternoon the crowds were gone, vizcachas appeared everywhere among the ruins. Their camouflaged fur makes it hard to spot them. 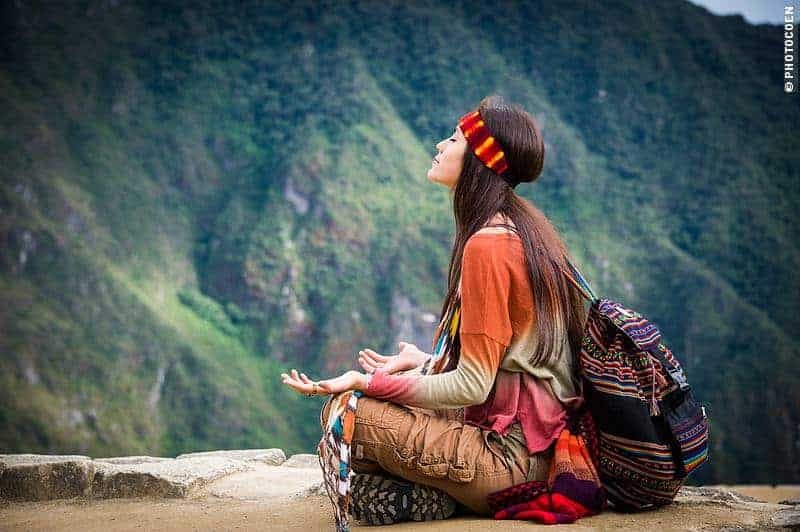 Two persons in particular attracted our attention: a woman meditating, which fitted the ambience, and the guide in his raincoat. We were all taking shelter in the shepherd’s hut yet this guide was standing in the pouring rain telling his story to his group. It might have been a great way to learn some aspects of Machu Picchu, however, they were all Asians and the guy was speaking Chinese, Japanese or Korean. Let me tell you: it was a challenge. For sake of statistics it would have been nice to have counted the number of steps, but I was too busy surviving to get to the top. Despite it being a 1.5-hour, strenuous climb, it is a beautiful one. The shade created by the clouds helped and we had a lot of shade from vegetation as well. Every ten or twenty minutes we were rewarded with a viewpoint of Machu Picchu. Each time it was farther away, yet more attractive and mystic than ever. 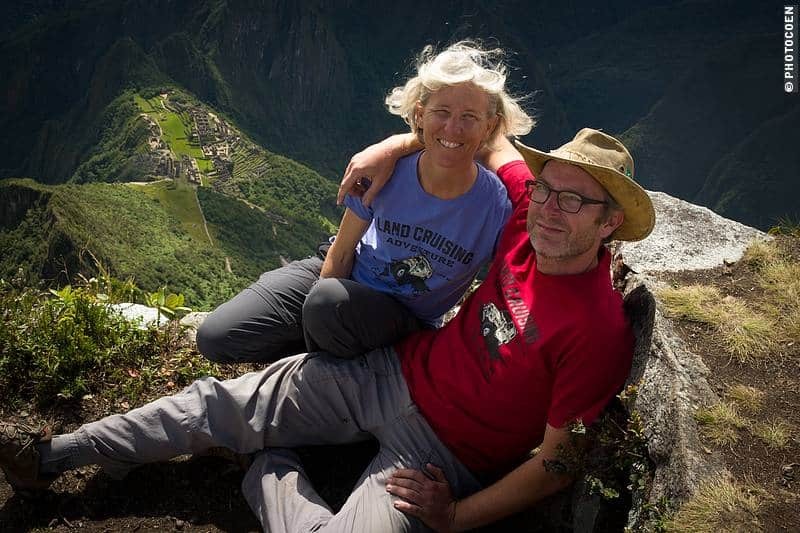 FYI: Contrary to climbing Huyana Picchu, where a guide is mandatory, you can climb the Machu Picchu Mountain independently. For both you need to buy the ticket in advance; you buy it in combination with your regular ticket to Machu Picchu. 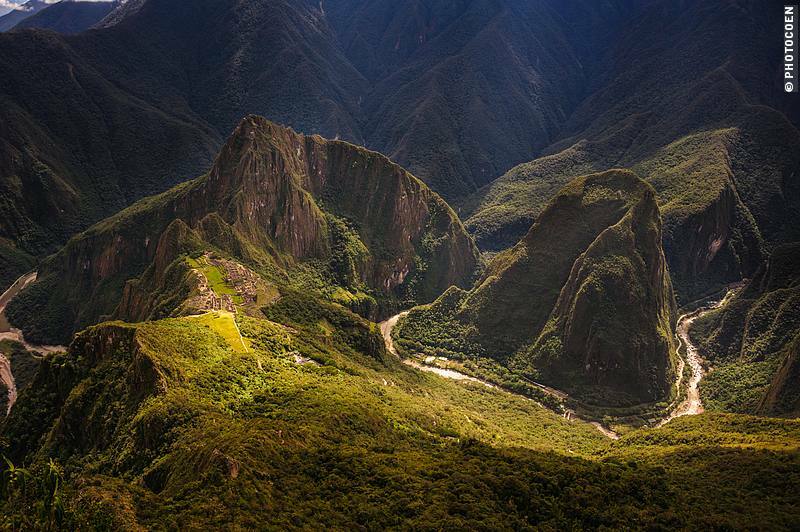 The Mountain has a maximum of 400 visitors per day, but, again contrary to the more popular Huyana Picchu, this maximum is hardly ever reached. Was the climb worth the effort? Definitely! First of all, going via the backdoor of Santa Teresa is one of the lesser-known and cheaper options of getting to Machu Picchu. 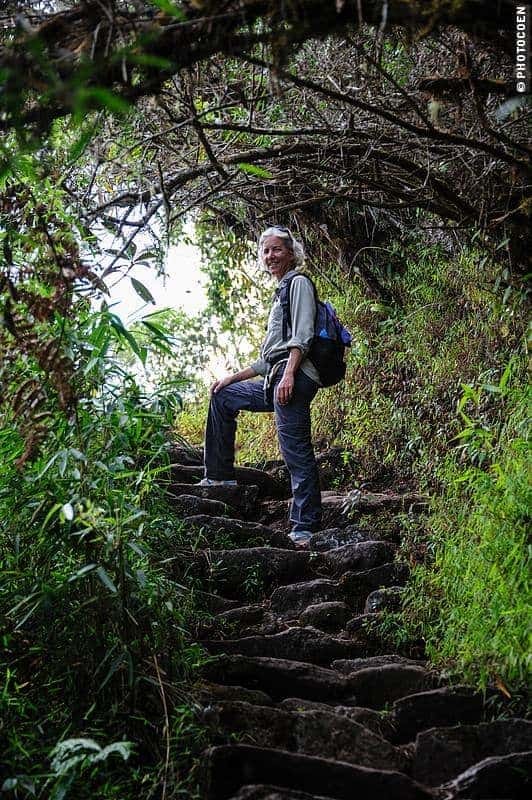 You can hike up from Agua Calientes to Machu Picchu (strenuous, steep, 8-km hike) or take the bus. We took the second option to save our hiking strength for the site and especially to climb the mountain. The ridiculous fare charged for the bus was worth it. Took the first bus from Agua Calientes at five thirty. Enjoyed the early morning views from the shepherd’s hut, which is also the place to be for the sunrise. Visited the ruins in the morning. At ten, when crowds start arriving (because that’s when the train from Cusco arrives with day visitors), we climbed the mountain. By the time we got back at two, a large part of the crowd had already left. 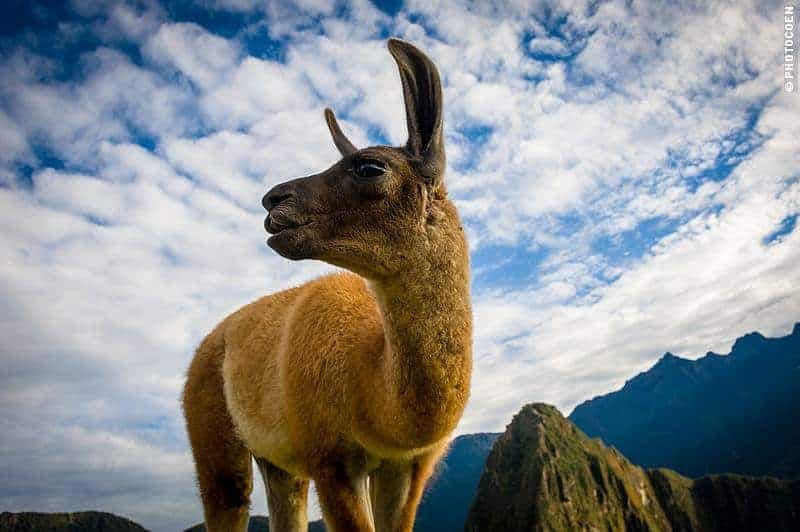 How was your visit to Machu Picchu? Any tips to share on how to make the best of it?